To add to the downfall of Facebook, Google+ has introduced its latest gaming platform for the users as per the official Google Blog post ‘Fun that fits your schedule’. The main cut throat competitive edge that Google+ games bear is the negligible amount of commission compared to that of charged by Facebook. It’s 5% in Google+ whereas for Facebook it is 30% - feel the heat. From this gaming initiative, one thing is very clear that Google is really desperate to win the relentless and fierce battle of acquiring the Numero Uno position by the volume of traffic on the web and social media. And to opine personally, I see G+ as the winner up to a point. What are the Games added by Google+ so far? How this Gaming Experience on Google+ would be different from Facebook? Well, the game invites on Facebook always annoy me the most. Till date I have blocked almost all the Games in order to avoid those invites. So is the case with most of the Facebook users who do not use FB for gaming. And gracefully Google+ is here with a rich user experience biased way of gaming. -> Circle to play with: G+ gaming lessens the pain of sending/receiving unwanted game requests by providing a unique option to view the list of users already playing games or using other Google products. -> The Separation: The best initiative by G+ on this gaming part is the separation of the gaming tab on the profile. It is aimed to keep your post feeds or say (in Facebook style) news feed clean and clear from the gaming updates. 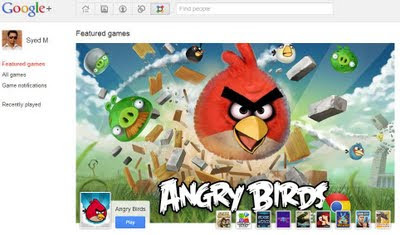 What does Google+ game platform possess for the developers? -> Less Commission: G+ commission on gaming transaction is only 5%, whereas Facebook charges 30%. This huge difference is obviously a plus point for both developers and Google+. 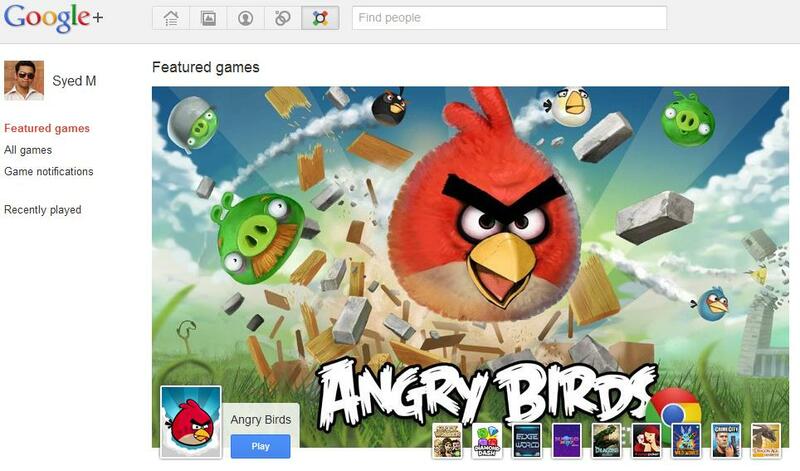 How does Facebook respond to Google+ games? Remember Facebook’s recent launch of ‘Facebook for Business’? That was an answer to Google’s announcement of business pages in Google+. So, in a similar way Facebook was supposed to respond to the games on G+. And to amaze most of us, FB did. FB has brought back some viral components turned off earlier on user demand. New announcement of Canvas Page redesign on their latest update is something aimed to appeal to the interest of developers. With this, Facebook brings back the ability of games to post stories on personal wall of the player. And that is something termed as ‘bringing back the viral spam’ by AllThingsD. The final battle between these two web giants depends on the number of users/players adopting the gaming platforms to fit their schedules. To count, Facebook has the largest user base ever and on the other hand Google+ has already broken the record of rise in users in such a short time span of 6 weeks. Facebook has the weapon of larger user-base to compete with Google+ games, but at the same time its tendency to respond to each and every step taken by Google+ might get FB into big troubles, and honestly I see the recall of Story Posting ability of the games as the first such threat. So, in the long run, if Facebook doesn’t take care of the choice and requirement of its user-base, definitely it will lose the battle to Google+ games.